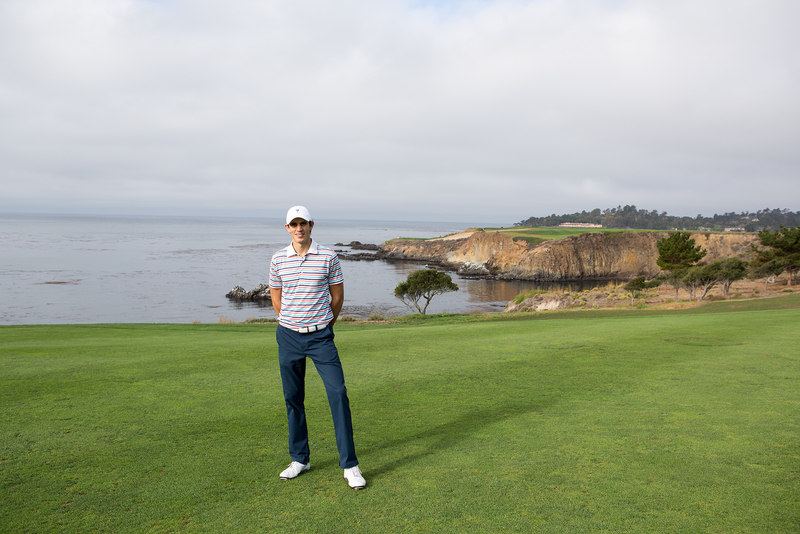 To say I had been wanting to play Pebble Beach Golf Links for quite some time would be an understatement. I still remember watching the 2000 US Open on television, a few years after discovering the sport. 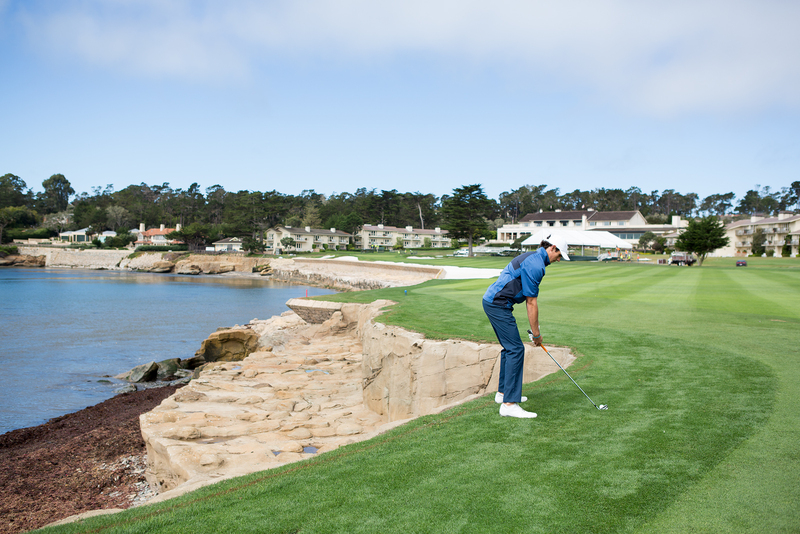 In awe at the beauty of the ocean-side golf course, I immediately began dreaming of one day playing the hallowed grounds of Pebble Beach. 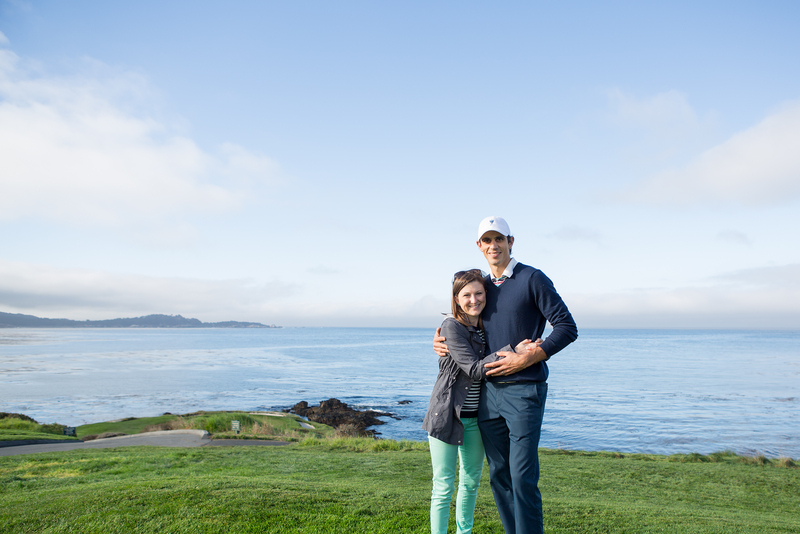 Fast forward nearly fifteen years later and I find myself in disbelief as my wife surprises me (on our wedding day) with a stop at Pebble Beach en route to our honeymoon. Am I dreaming again?! A few days later we flew into the San Jose Airport, snagged a rental car and began the 80-mile drive down Highway 1 toward Pebble Beach. When we finally arrived on Monterey Peninsula and began winding our way along the coastline on 17-mile drive, I found myself wondering if we’d ever want to leave! The magnificent views and pure beauty of the Pacific Ocean had us falling in love with the area even before our arrival at the resort. 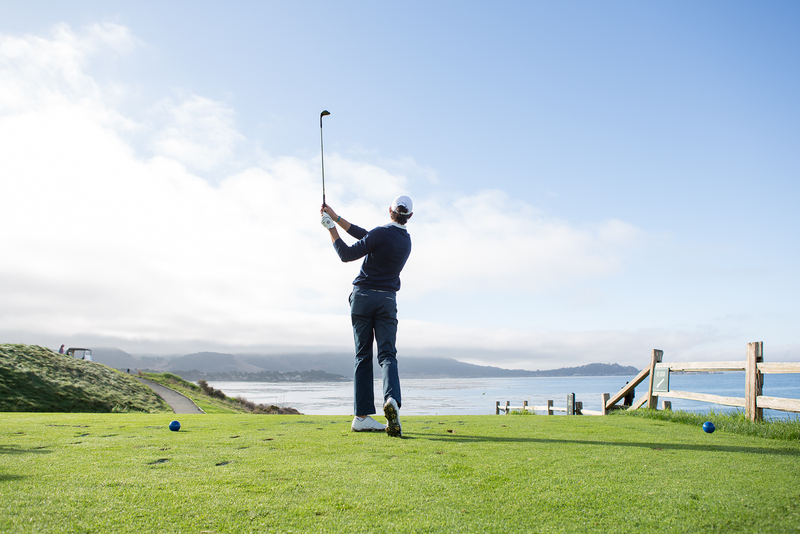 Passing by the Links at Spanish Bay, Cypress Point Golf Club, and Spyglass Hill Golf Course, we finally made our arrival at Pebble Beach Golf Links. 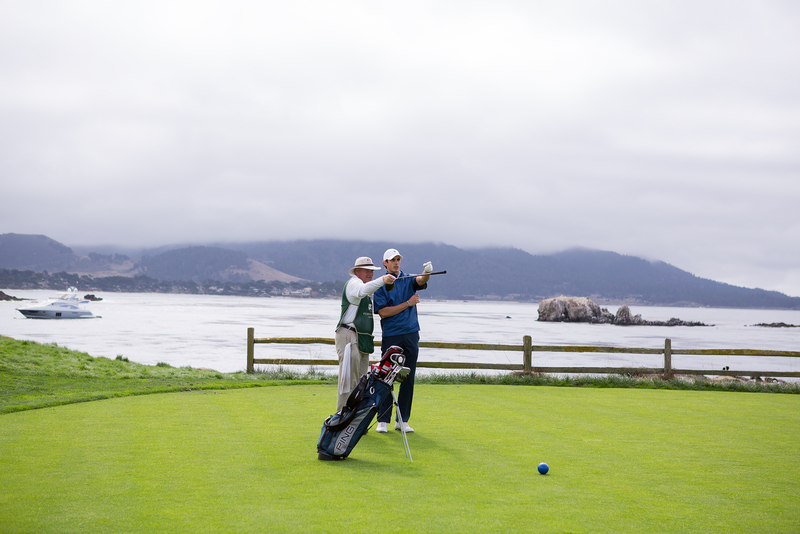 After checking into the beautiful Lodge at Pebble Beach, and a long night of tossing and turning in anticipation of the round I’d been waiting for my entire golfing life, we awoke before daybreak and headed to the practice facilities. 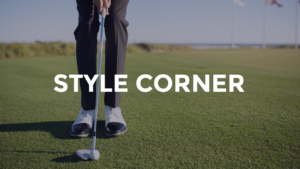 We were met with an absolutely amazing facility that included a pristine 350-yard double-ended driving range and a short game area complete with finely mown chipping areas and multiple practice bunkers. It’s the kind of place I could spend an entire day honing the game, but after a brief warm-up session it was off to the first tee to begin the round. On this crisp September morning, we had secured the opening 7:30am tee time. A 240-yard 3-iron smacked down the middle and we were off. After settling in on the opening holes, we reached the 4th hole where our caddy Todd commented, “You’ll want to favor the left side on this hole. You’ve got a small hazard on the right known as the Pacific.” Todd’s got jokes! 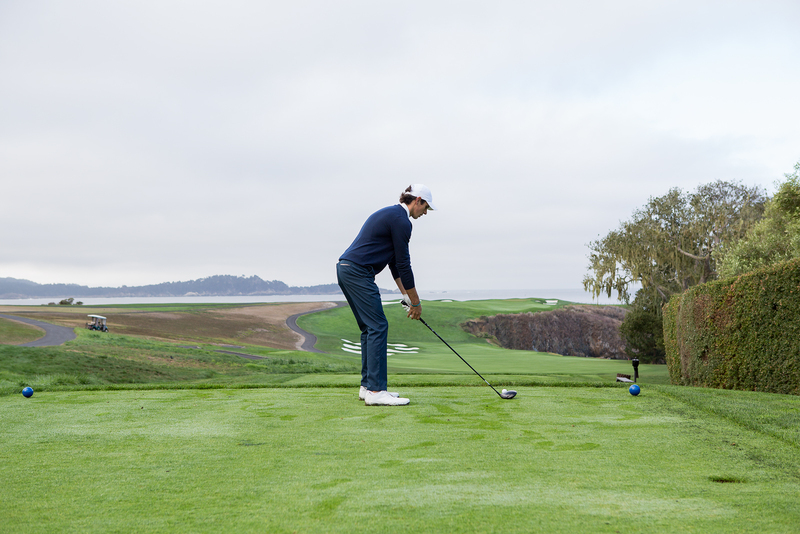 The 4th fairway is where it all begins – a stretch of holes that are nestled magnificently along the Pacific coastline and make this course a bucket list must. A walk back to the 6th tee box yields a wide sweeping view of the Pacific Ocean in the distance, and its elevated position allows for a nice look at the overall property as well. 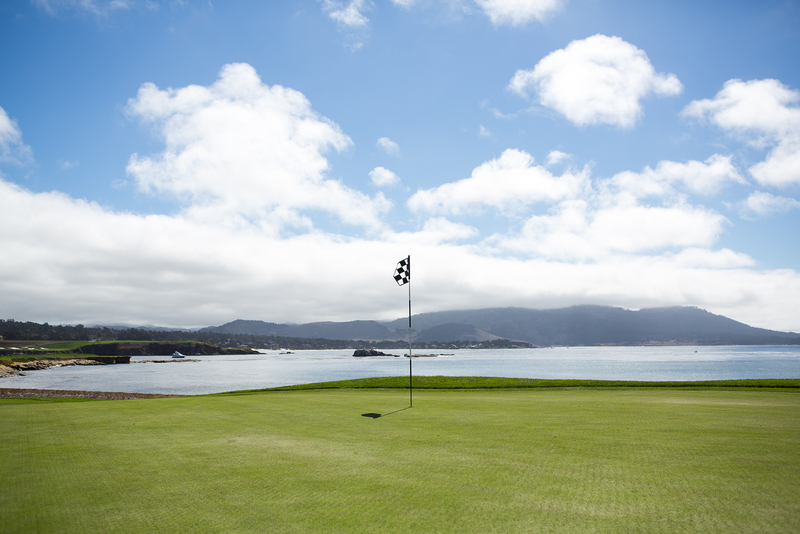 Take in the view and then rip your drive down the left center of this reachable 506-yard par 5. 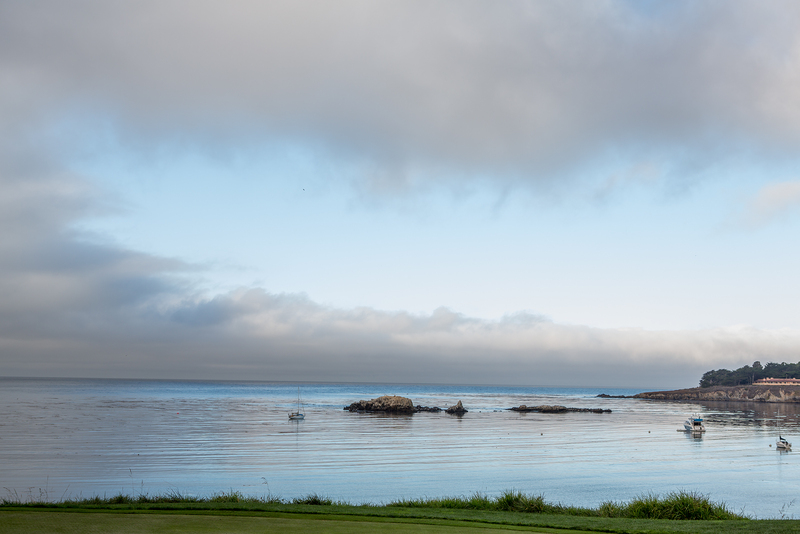 The conclusion of the hole offers another opportunity to soak in the panoramic views of the entire coastline before making your way to the famed 106-yard par 3 7th hole. 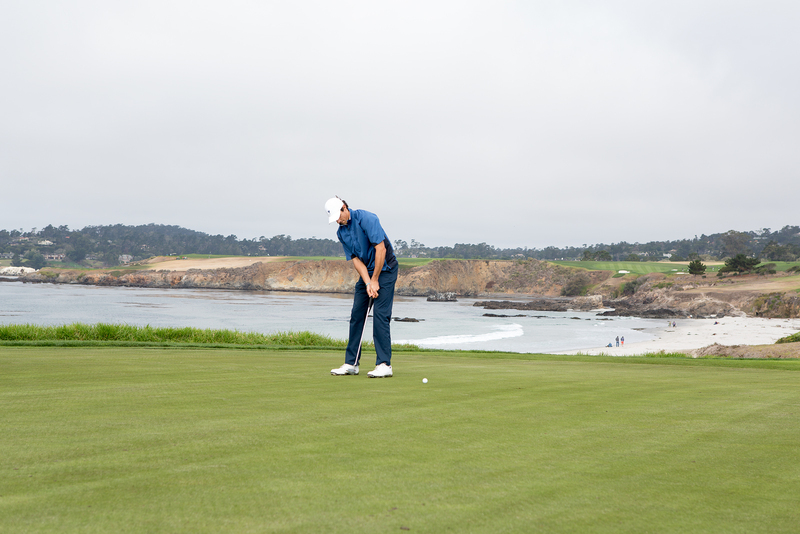 By now, you’ll certainly have realized how tiny the greens are at Pebble Beach Golf Links. 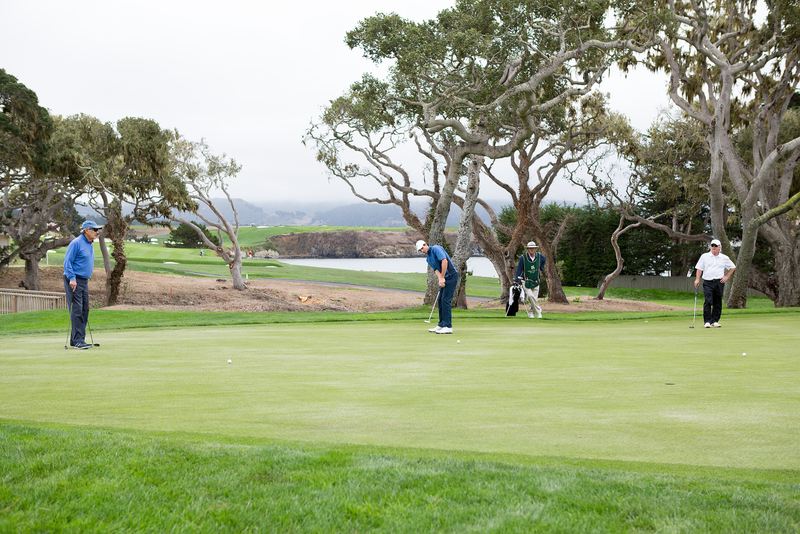 The 7th hole is no exception as the ocean and bunkering demand a precise wedge shot to record a green in regulation. Holes 8 through 10 continue to wind their way along the coast, with the continued theme of stunning views and challenging approach shots. 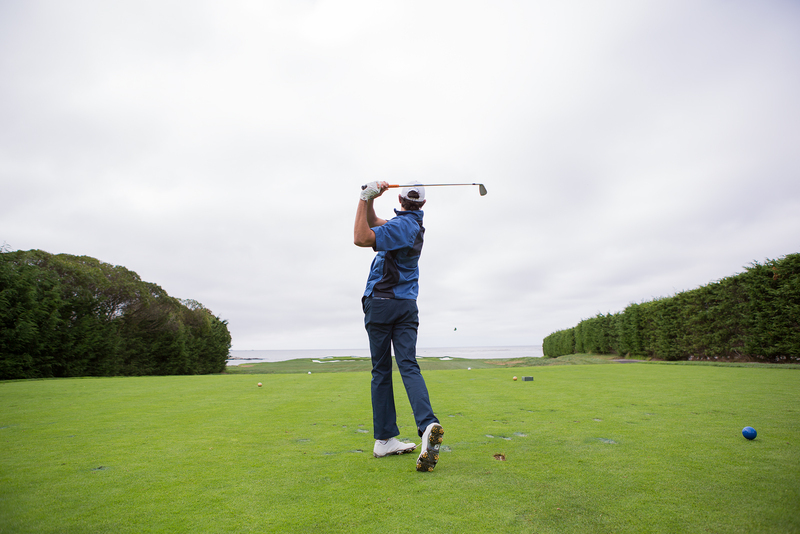 Making the turn, the majority of the back 9 moves off the immediate coastline, but nearly every hole still provides great ocean views. 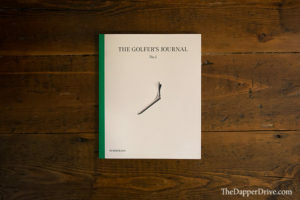 A few scoring opportunities are presented and a favorite hole was the challenging par-5 14th hole, which regularly plays as one of the toughest holes each year at the AT&T National Pro Am played here in February. 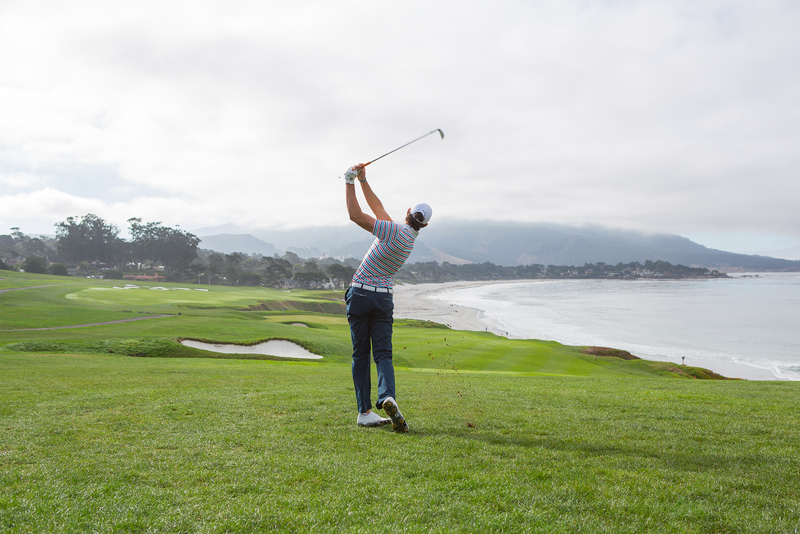 Turning back toward the ocean, we played the 177-yard par-3 17th downwind with a front right hole location, offering a rare scoring opportunity with a short-iron approach on the hole. 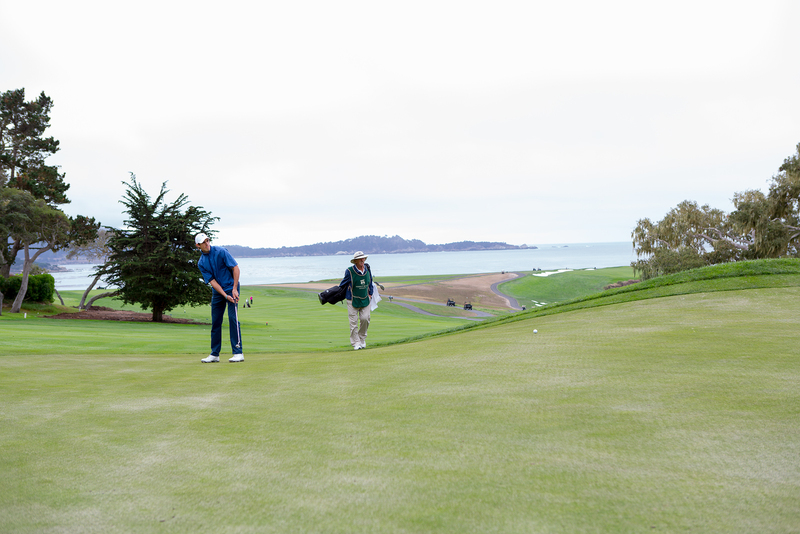 Be sure to drop a ball off the back left portion of the green and do your best to reenact Tom Watson’s famous chip-in at the 1982 US Open. 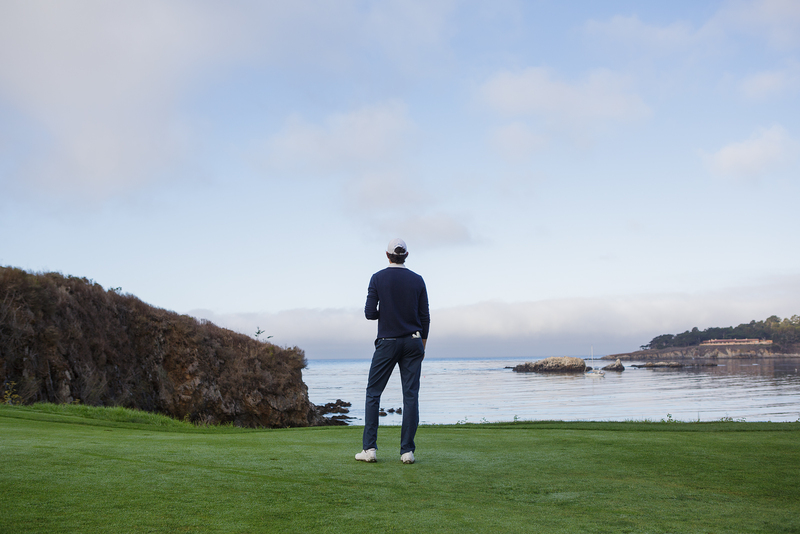 After playing the round at Pebble Beach Golf Links, I maintain the view that this round is a bucket list must. Aside from the breathtaking views and pristine course conditions, the history of the course adds a layer of enchantment to the round. 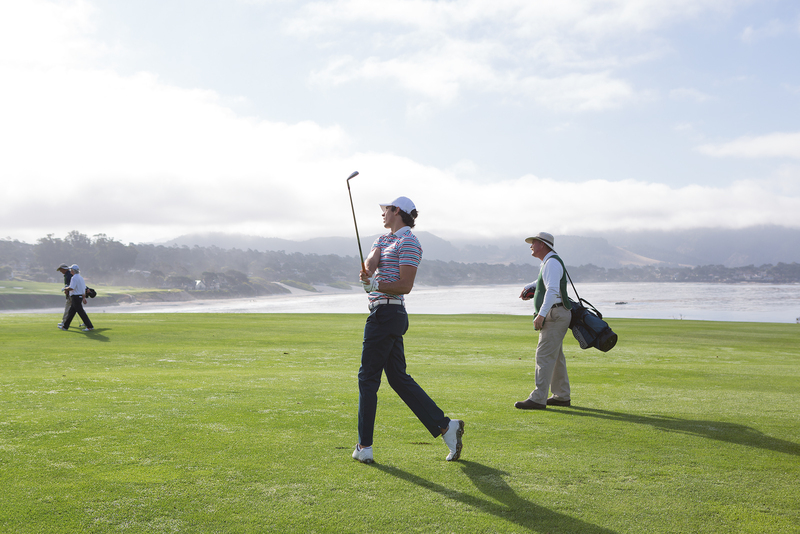 Further, the resort staff enhances the experience by pampering guests before and after the round. 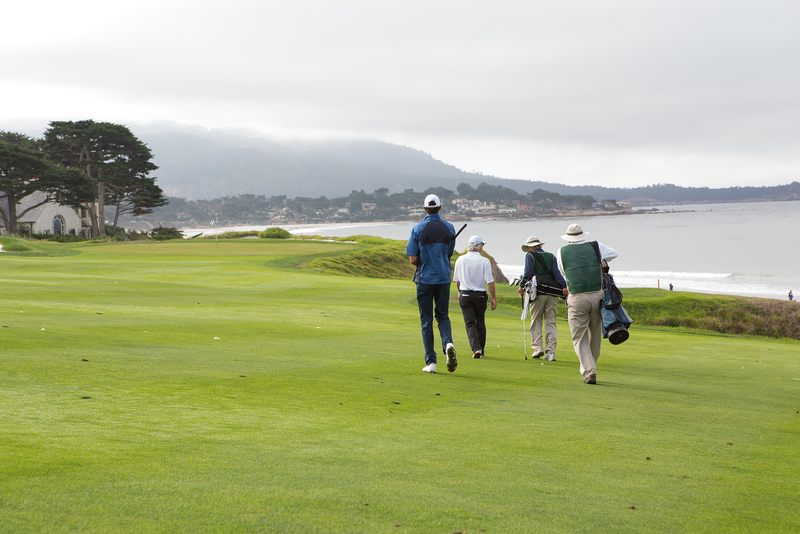 Lastly, the caddies are some of the best around, and truly make this an unforgettable experience. 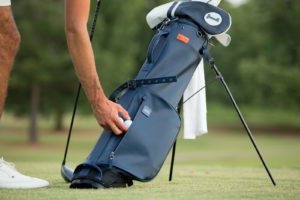 While the course allows for carts, I highly recommend walking with a caddy. 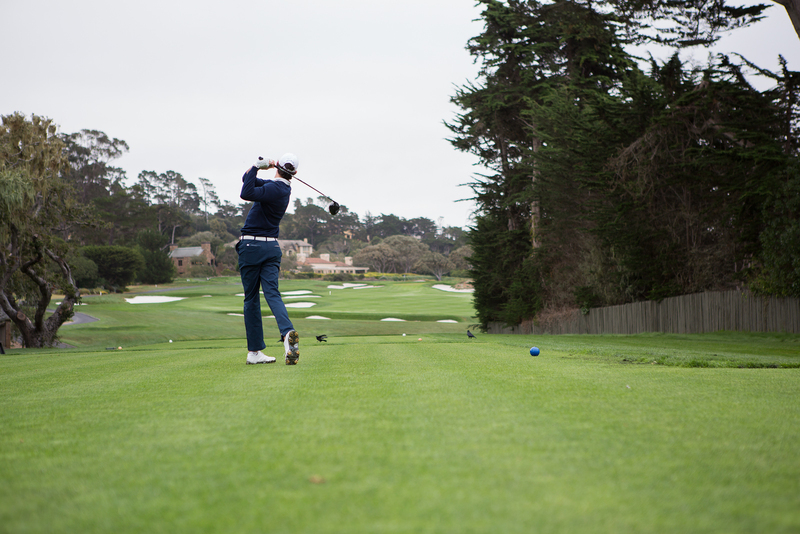 After the round, I suspect the only question on your mind will be how quickly you can plan your return trip to Pebble.